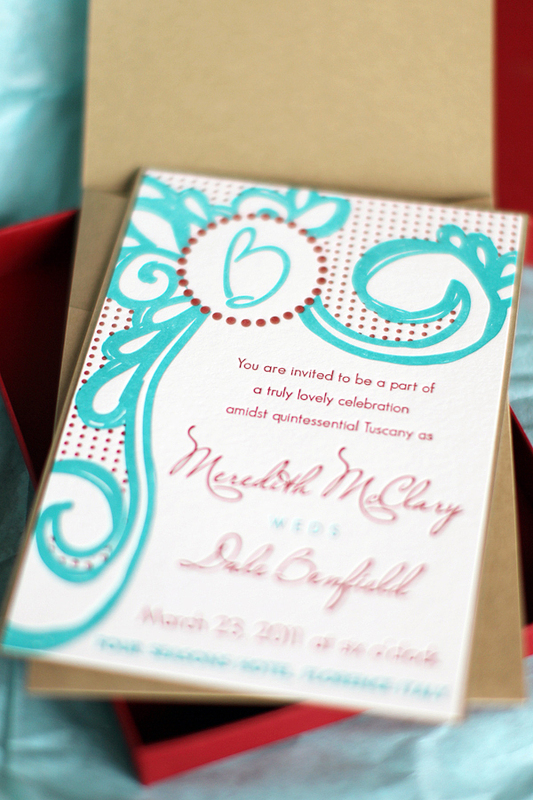 A few months ago I had the privilege of creating a calligraphy stamp for Amy over at Sincerely Yours Paper. 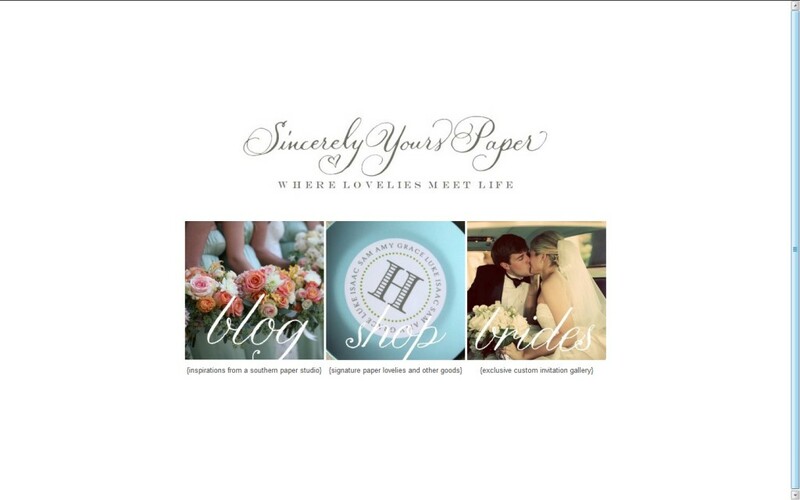 She loved it so much that we used the work to update the Sincerely Yours Paper logo. It turned out lovely and you can find it on her website and blog. I love that she uses a custom signature on her blog posts 🙂 So sweet looking. 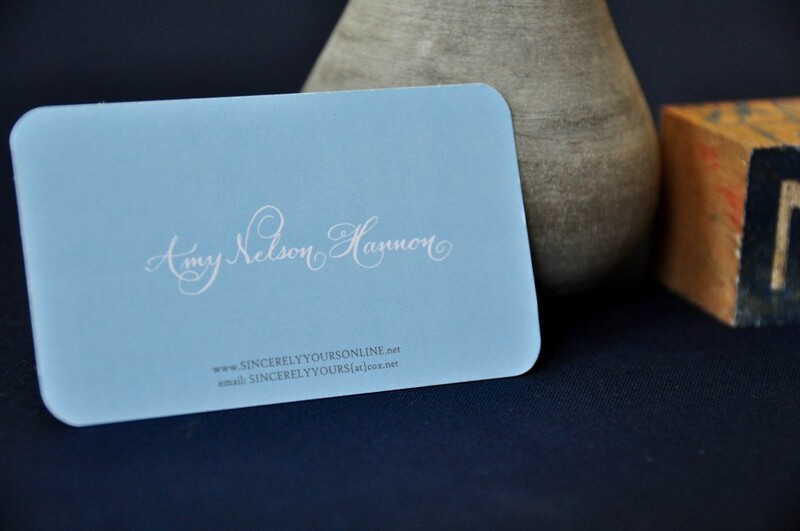 A few pictures I took of her new business cards too – pretty! Be sure to follow Amy on Twitter, Facebook and purchase her fabulous ready made – semi-custom designs on Etsy. 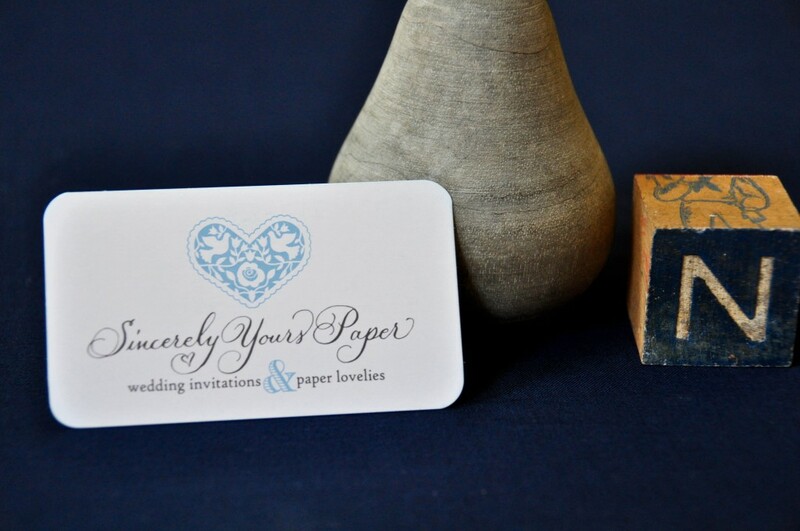 And if you are getting married, Sincerely Yours Paper can take care of you for your custom wedding stationery. Congratulations on 10 years in the business Amy! 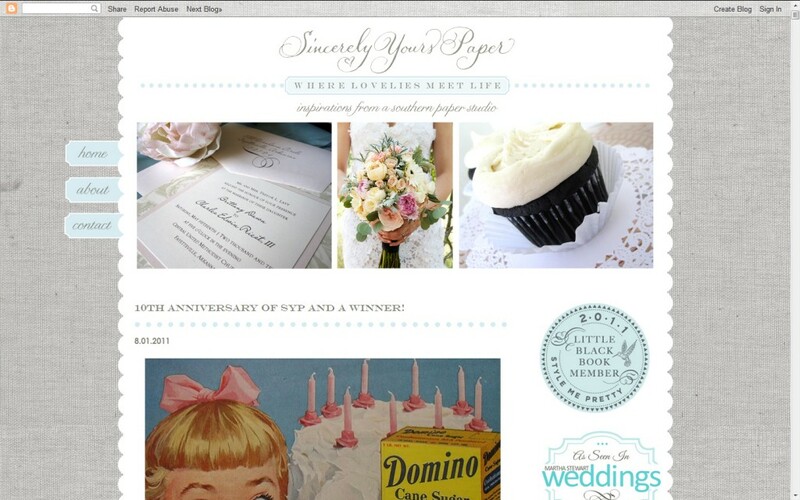 Another super fabulous wedding I worked on with Amy from Sincerely Yours Paper. This couple is so special because they are Meredith and Dale from Benfield Photography (all photo credits to them). 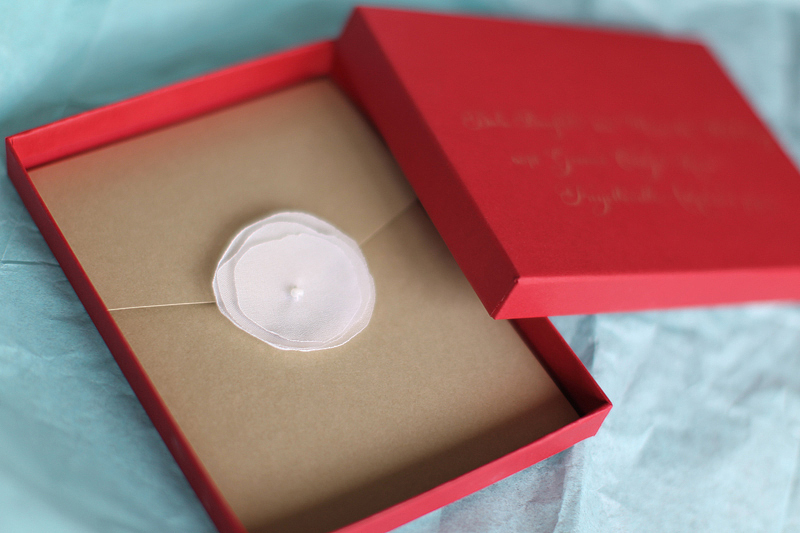 Since their wedding was going to be small and intimate they decided to go super lux with letterpress, calligraphy and mailing boxes. So lovely! I love the flower & the color scheme. It makes me super happy. Wow – it is the start of august and hot, hot, hot. While it is hard to start thinking about the holiday season – it is only 3.5 months away! 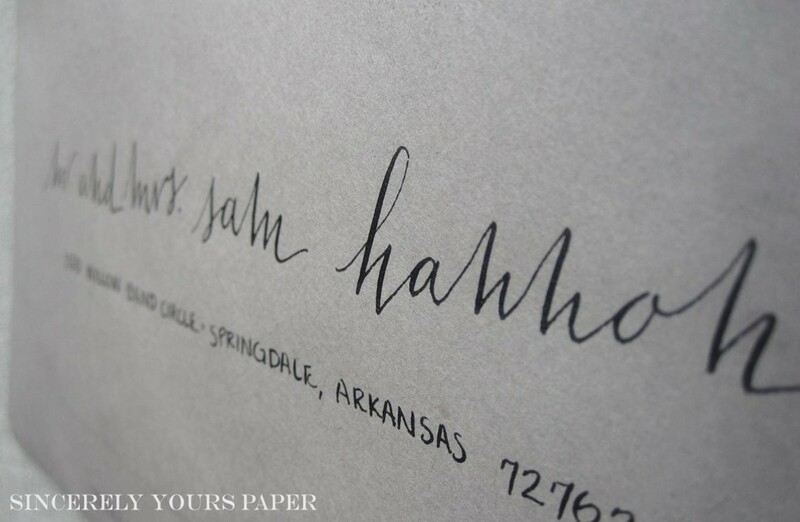 Time to consider a custom design from The Left Handed Calligrapher & addressing to make your life easy during the very busy and joyous season to ensure your cards are actually sent out! 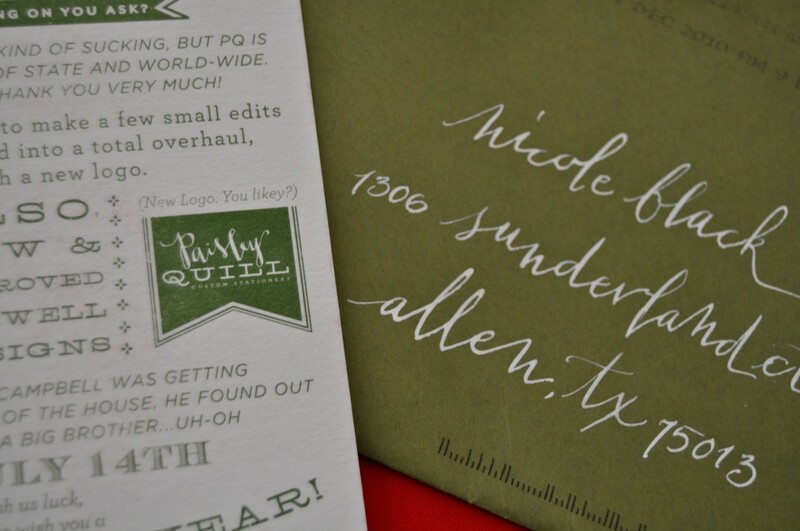 We did this last year for the lovely Paisley Quill holiday cards. 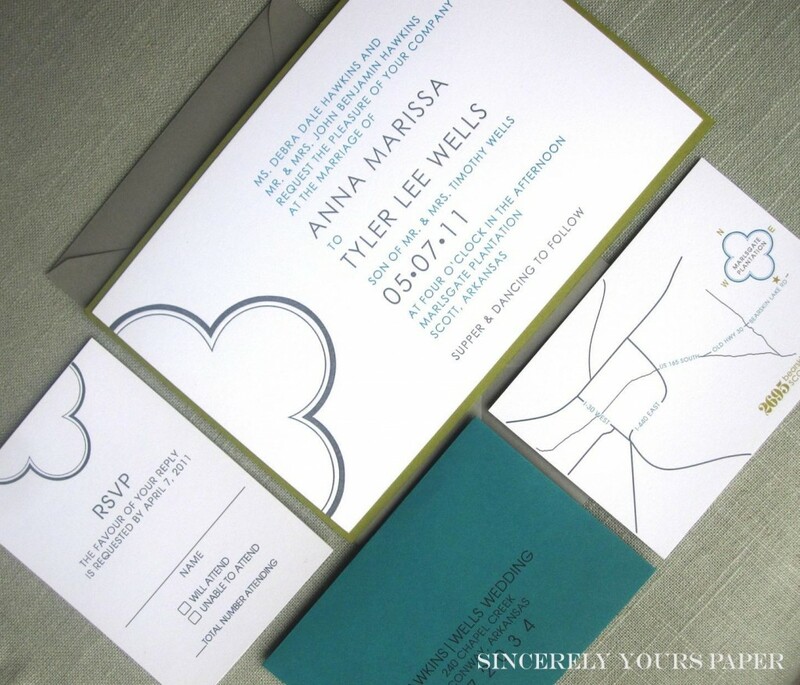 Mitty lettering in crisp white ink on a pine green envelope. Love! 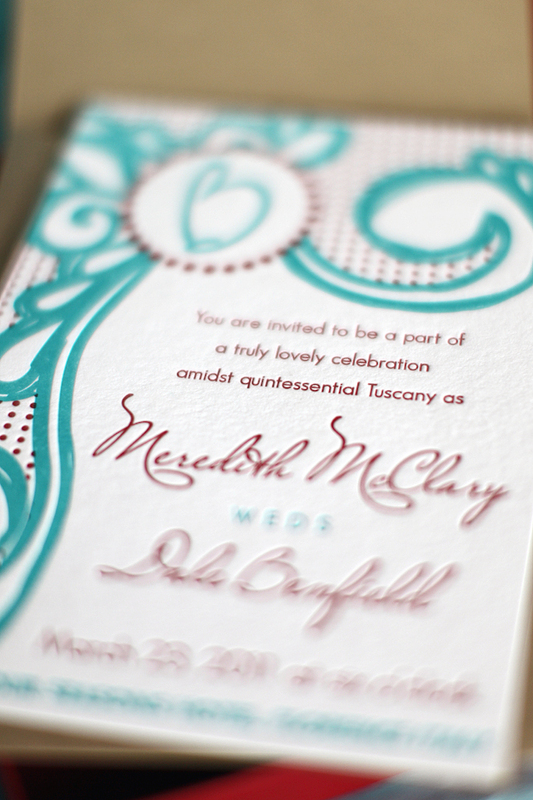 I LOVED working with Amy over at Sincerely Yours Paper on Marissa and Tyler’s wedding calligraphy. Marissa is an unconventional bride and wanted a very modern and clean look for her calligraphy. We paired the mitty font large and centered on the gravel grey envelopes with a single line of capital lettering smaller and centered below. 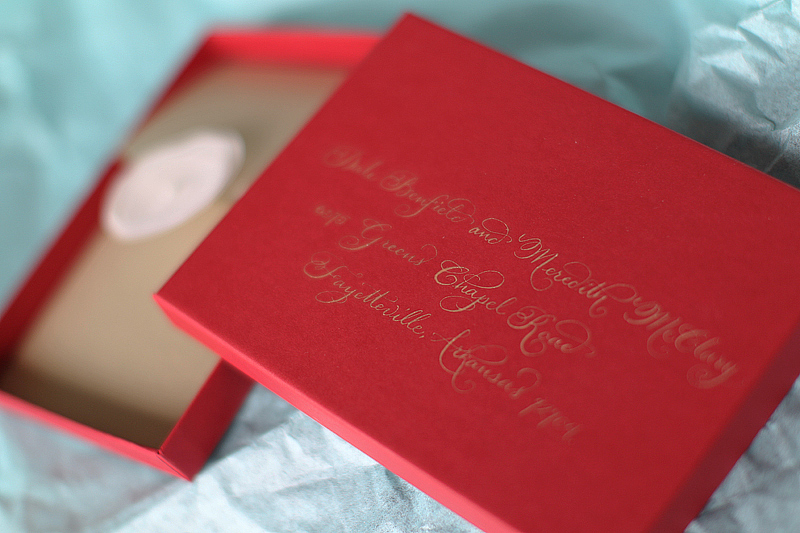 Amy did an amazing job on the invitations – they are clean and lovely. Aren’t the bride & groom so gorgeous? Love her dress! Photography by Benfield Photography. Event planning by the fabulous Finishing Touch Event Design. Thank you to Amy for providing such lovely pictures!